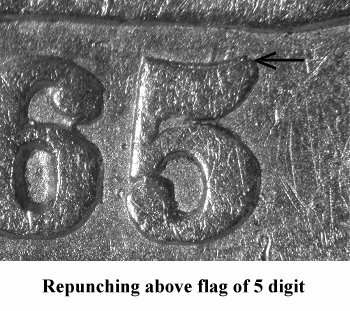 Comments: Obverse 2 can be easily attributed by a high level date punch and minor repunching above the flag of the 5 digit. On lower grade examples, it may be difficult to see the repunching above 5 digit. 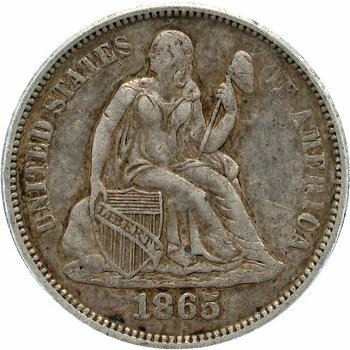 There is also a die defect below Liberty's right armpit. 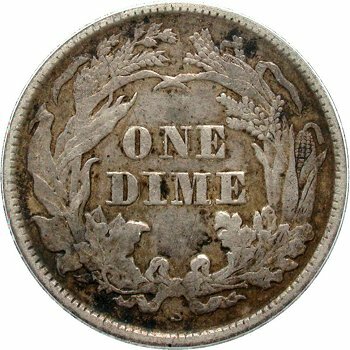 Variety 103 is the only known die pairing for the Obverse 2 die. 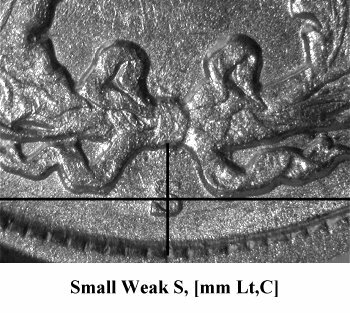 Reverse A, now in a later die state, is paired with Obverse 2. 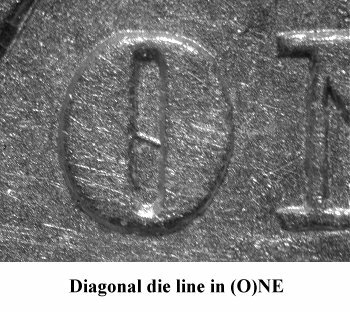 The reverse denticles will exhibit considerable die erosion while the diagonal die line in (O)NE remains visible. 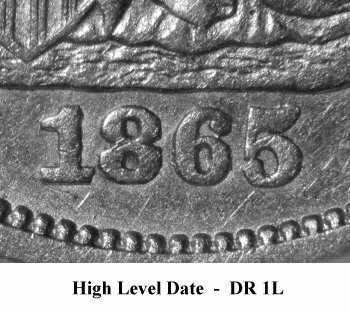 When examining all 1865-S varieties or die states, Variety 103 is generally the best struck and provides collectors with an opportunity for locating an 1865 San Francisco dime with a full head.